To please the selife lovers and mid-range buyers, Chines smartphone maker, Lenovo has launched world’s most innovative smartphone, the all new Lenovo Vibe S1 with dual-front camera priced at Rs 15,999($299) in Pearl White and Midnight Blue colours option. Lenovo Vibe S1 is now available online through Amazon from 23rd Nov. Mid-night. Lenovo recently launched Lenovo Vibe P1 priced at Rs 15,999 in Platinum, Graphite Grey colour option and Lenovo Vibe P1m priced at Rs 7,999 in Onyx Black and Pearl White color option. 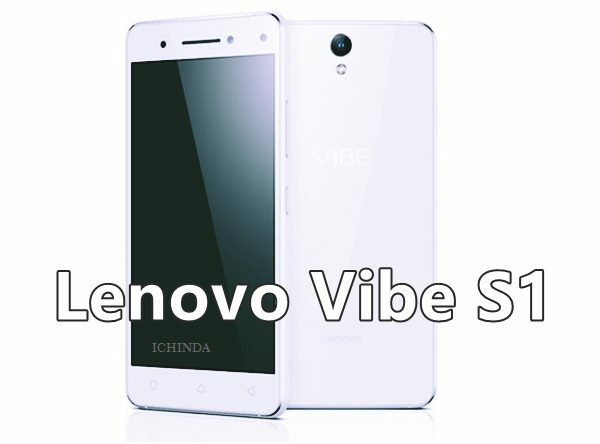 The all new Lenovo Vibe S1 supports Dual-SIM(MicroSIM), 4GLTE, NFC, 3G, GPRS/ EDGE, Wi-Fi 802.11 b/g/n, GPS/ A-GPS, Micro-USB, and Bluetooth comes with a bigger 5-inch Full HD IPS display with resolution (1080×1920 pixels) and 441PPi offers you stunning colour consistency with wide-angel HD viewing perfect for watching movies, playing games and reading e-books. Lenovo Vibe S1 is powered by a fastest 64-Bit Snapdragon 615 octa-core processor clocked at 1.5GHz and runs on Google’s most advance Android 5.0 Lollipop OS with Vibe UI 2.68 on top with 3GB RAM, 32GB Internal memory and 128GB expandable memory promising blazing multi-tasking. Lenovo Vibe S1 sporting a 13-MP auto Focus OIS Rear camera with two-tone flash focus and PDAF (Phase Detection Auto Focus) for shooting promising superior photography in low light and dual front camera (8-MP+2-MP) for best video calling and selfies experience powered by a monster 2500mAh battery with Quick Charge promising talk time up to 49 hours and standby time up to 648 hours measures 143.30 x 70.80 x 7.80 and weight 132gm including Dolby Atmos Sound technology. Lenovo also launched Lenovo A1000(Rs 4,999),Lenovo A6000 Shot(Rs 9,999) and Lenovo K3 Note Music(Rs 12,999) and soon going to launch Lenovo A7000 Plus priced under Rs 10,000. At last few honest word, Lenovo Vibe S1 is best smartphone for mid-range buyers. What you think? Please be open to give your view.